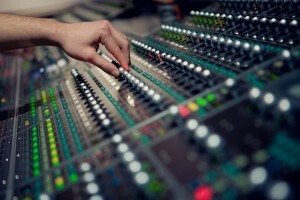 There is already a wide variety of sounds available on Ambient-Mixer.com for you to use in your very own ambient mixes. However, sometimes, the right one just isn’t there. Luckily, you can upload your own sound effects or self-recorded songs once you logged into your account, and use them on your mixes. However, there simply are sound effects you can not record yourself. This list of websites where you can download royalty free sound effects will help you to create the mix you wanted instead of having to settle for the second best! All websites offer various sound effects and musical pieces across various categories like nature, human, or special effects. One of the biggest site there is for downloading free sound effects of nearly everything is FreeSound.org. 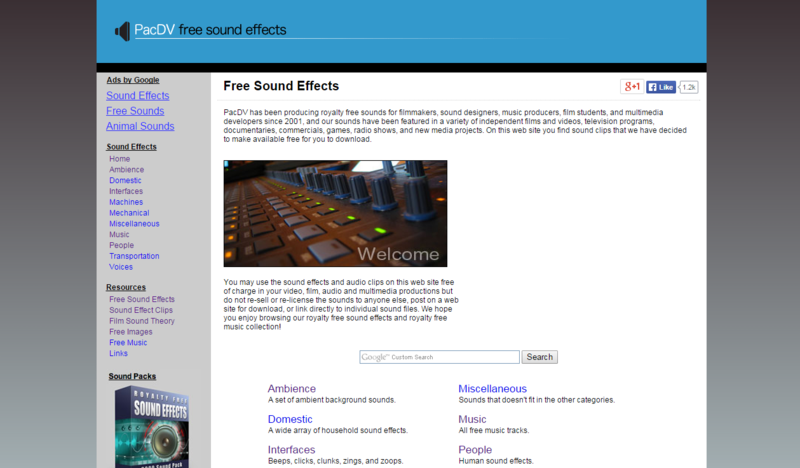 After creating a free account, you are granted access to a large and steadily growing library of sound effects. If you know exactly what you are looking for, you can use the search function. The closest matches to your keyword will be listed immediately. You can then further narrow down your search according to license, file format, sample rate, etc. 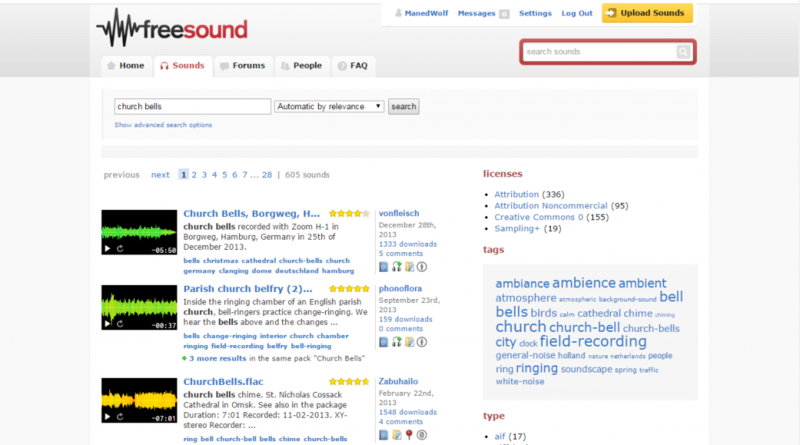 There is also the possibility to “browse tags” that list all sounds that have been tagged with a specific keyword. Even browsing for geotags and sounds uploaded from specific parts of the world is possible. The second website in our list, SoundJay.com, provides a big list of sounds and sound effects for the royalty free use in your videos, projects, or ambient mix. While there is no search function, you can browse different categories of sound mixes like “Human Sound Effects” or “Music Tracks”. Depending on the category, there is a selection of subcategories available as well, making it easier to find a specific sound effect. The sound effects are usually available in either MP3 or WAV format. PacDV.com is another site that offers royalty free music and sound effects to download. 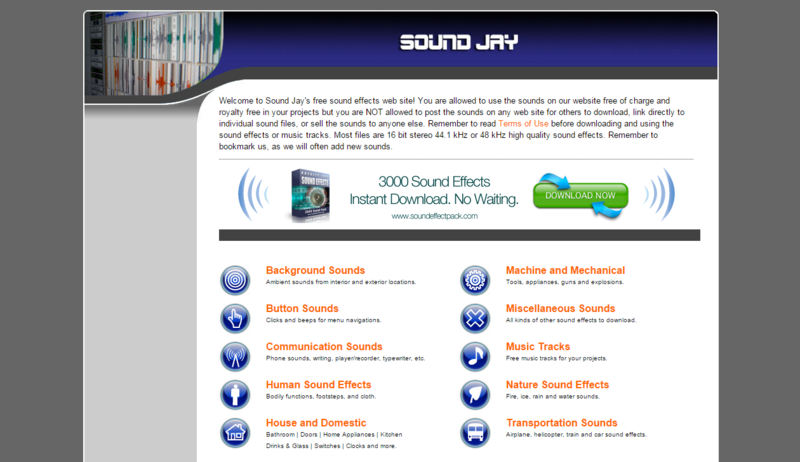 Just like on SoundJay, the sound samples are organized in categories like Mechanical, Domestic, or Voices. To download the sound file, however, no separate download button is available. Instead, right-clicking on the file name and choosing “Save file as…” allows you to save the sound sample on your hard drive. Most files are available in either MP3 or WAV format. 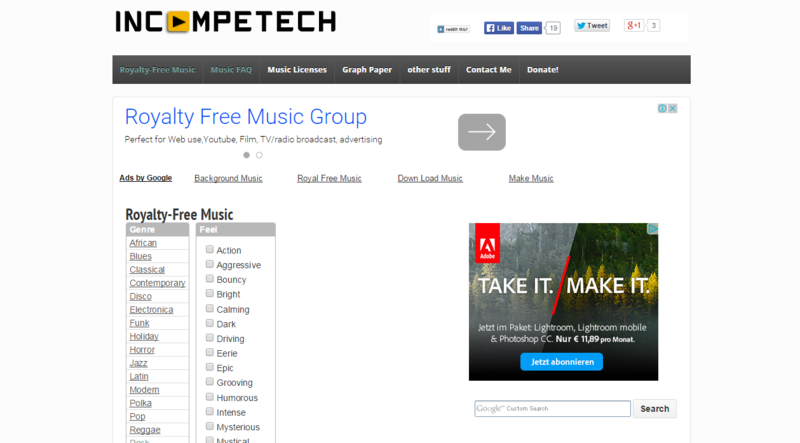 The Incompetech website has a section where it offers royalty free music for the user’s free an unlimited usage. If you are looking for individual music pieces instead of real sound effects for your ambient mix, this site offers you what you need. All entries of the catalog are available in the “Full Search” option where you can either browse for genre or mood, or simply search for a specific keyword. Furthermore, a large portion of the music tracks (yet not all) are listed in so-called collections like “Rock”, “Funk and Blues”, or “Comedic” on the page. 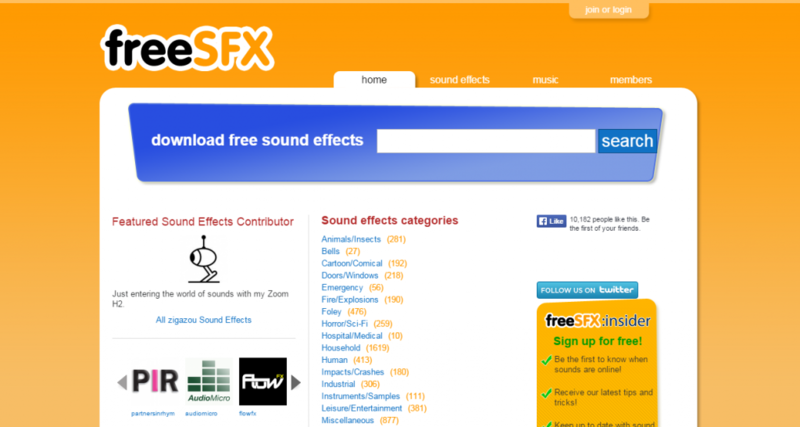 With a free account on FreeSFX.co.uk, you gain access to a neatly sorted collection of sound effects. Browsing and listening to the sound effects is possible at any time, however downloading is only available for registered users. Next to the useful search function, FreeSFX also provides a list with different categories like “Bells”, “Foley”, or “Office” to browse. Whichever source you choose to use though, or on whichever page you were able to find the perfect audio sample or sfx for your ambient mix, do not forget to credit the original creator when uploading the sound sample to the page.